It is yet another drab, wet grey day. This is the first book in a new series from this great writer. The basic premise is that something has caused people to manifest superpowers, however so far only evil people seem to have gained powers. The book is set in a Chicago that has been taken over and controlled by one of these villains. A really good book, with a story that moves along nicely, but that still has time to set up a great world and also throw in a few twists. I highly recommend this one. A story set in an alternate history Seattle. In this world the US civil war is still ongoing after 20 years. Seattle is a city completely changed by the “Boneshaker” which was a tunnelling device that dug a tunnel under Seattle that released a heavy gas that effectively causes zombism. The authroies built a big wall around the old core of Seattle, and people don’t go there anymore. At least that’s what the main protagonist of the story believes, until her son goes into the walled town to prove his fathers innocence in the Bone Shaker incident. She has to follow, and learns all about the hidden community that still exists inside the walls. An interesting read, with a very different world. It has a very strong Steam punk vibe and a very good set of characterisation of its main characters. This is the third and final volume in the Nights Masque trilogy. The trilogy is based around a set of characters mainly focused on an alternate Elizabethan England, though the second volume is set in Venice, where the characters have travelled. 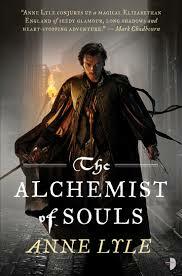 This book is the climax of the trilogy, and ties up a lot of loose ends that have been introduced in earlier books. The book itself covers a large period of time as the various antagonist forces plots progress until a quite stunning climax. I do recommend the entire series, as a good fun read. I was unable to find a physical copy of this book, and so i got myself the audio book version, read by Mur Lafferty. The book focuses on a woman who finds herself working for a company producing a tourist guide to New York city for the mystical community. 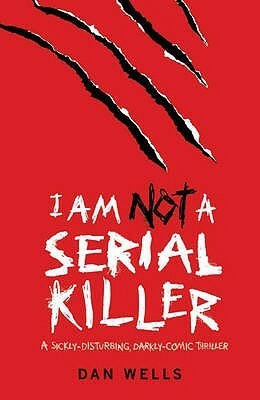 This book is a great mix of funny, scary, and weird. I don’t want to go into it too much as the book is so good, and anything i say would probably ruin a couple of surprises! i will say that i loved the concept of the Welsh Death Goddess who had to start working as a writer because all the followers of her religion had switched to other religions. Homeworld is the third book in the Odyssey One series of books. This is a series i have enjoyed since the first book. The earlier books had some issues, and this continues. However the story makes up for a lot of that. The series is an entry in the military Science Fiction Genre. It is based in a post WW3 era, when the war between China and America ended up with the formation of two large blocs, one centered on China, The eastern Block (Block), and one on the US, North American Confederation(NAC). In this post war era both sides have expanded out in the solar system in a way very similar to the cold war expansion. in the first book of the series the NAC had developed a faster than light method for travel and so began exploring the galaxy. They found that there was a system of colonies very near to the earth that was made up of humans. These people had been quite peaceful, but where now been attacked by an Alien, and monstrous, Race called the Drasin. The earthlings, Terrans, who are very good at fighting give a hand. In Homeworld, a BLOCK ship sets out to also explore the galaxy. However things go wrong, and they lead the Drasin to Earth. This leads to a Fantastic fight inside the SOL system, as all parties attempt to save Earth from the Monstrous Drasin. If you have read any Military SF and enjoyed I would recommend this series. Though book one has some rough patches, the series is well worth reading as book two and three are a lot better. So i went to see this last night, i had hoped to see it in 2D, however the showing sold out, and so i had to go to a 3D showing. First, i enjoyed the movie, it was an entertaining movie, that at no point dragged. It is 2 and a half hours long, and i barely noticed the time passing. 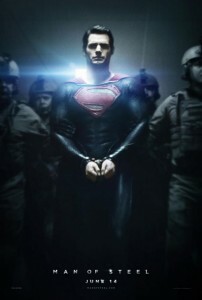 The movie is of course a retelling of the superman origin story. A lot of people wondered what was the point of doing this again, when it is a story that is well known, not just in comic book circles. However, it did not retell the same origin story, instead we ended up with a much different origin. They spent a while at the start of the movie setting up the world that was Krypton, and a small sample of its culture and technology. However, i can’t help but feel that this was covered better later in the film, and it could possibly have been done as a flashback rather than as a prologue. However considering the amount of time that was spent on Flashbacks, all of his time on Earth before the main narrative is told in flashback, this might have been to much Flashback. The movie has several fights scenes, which are very clear, and easy to follow who is fighting who. There is also a higher level of character death than you normally see in a movie of this type. There were very few laugh out loud moments in this movie, like the Nolan Batman, this is a movie that is aiming for the darker aspects of been a hero, and there so it is a lot darker. I do recommend that you see the movie and make up your own mind. So i picked this up at Eastercon in April, and only got around to it on Tuesday night. I read a short bit before i had to stop, for many reasons. I was hooked enough to know that if i went much further, i wouldn’t stop till i was done. Last night though i powered through the entire book, and i can only say that it is a brilliant book. The story is revealed through the point of view two main characters, and one sidekick. The two main characters are a man who is not a noble, but who is able to move with people of the noble class because of his background, and a girl who has spent the last five years hiding out as a man, working in the theater, and seems to have a mechanical mind set. The sidekick is a good friend of the male main character, and is often used to show viewpoints that neither of the main show. The story is set in an alternate history version of Elizabethan England. When the Europeans arrived in the New World, they found a race of people called Skrayling. These people have been trading with Europe since. The Skrayling are allied with the English, and for the first time have decided to send an ambassador to the court. While the plot revolves around the arrival of this ambassador, not all of the events in the book are directly tied to the plot. Sometimes events happen as a result of the actions of the characters, that does not directly serve the plot, but are the consequences of actions by various actors. This adds to the general realism of the story. There is a lot going on in this book, and i am not going to go into them, as i would not do them justice. All i can say is that I will be on the look out for the sequel to this book. So a quick not a review of this movie that i saw a couple of weeks back, while still on a break from blogging. This is a movie that was trying very hard to be aware of its source material, while also showing the changes the original movie had made. It introduced a main cast member, who reflected a lot on the changes from the original timeline, once you worked out who they were in the orignal timeline. This is a movie that I enjoyed, but only by turning off my brain. The Kirk in this series is even more reckless and out of control than the original timeline. Most of this is because he has never completed his time in the academy, he has never had to serve his time learning how to be a captain from others. He is upset with Spock because Spock followed the rules and didn’t tell Kirk he was going to. Anyone who knows Spock, knows the rules will be followed. The major problem i have with this movie, and the end of the first is that NO rational organization would give control of a Starship with hundreds of crew to a man-child like Kirk. While it made a small bit of sense in the crazy out of control moments of the first film for Kirk to take command, this sense would not hold after the end of the crisis. Once you realize that Star Fleet is not rational the movie, plot-holes and all become much more believable. I am undecided how i feel about this movie, and indeed the entire reboot, i think it shall take another watch or two, and that can wait for the DVD, or more likely Netflix. So a book club in Dublin that I am looking at joining was this month reading The name of the Wind by Patrick Roftuss, and John Scalizi’ Old mans war. Having already read The Name of the wind back in 2011, i really only needed to read this to be ready for the book club. The book is simply a tale of an old man, who chooses to enlist in the space army to be rejuvenated and get a new lease on life in the colonies after his term of service. There are some very interesting elements in the book. For example the old people who sign up to join this army have no idea how they will be rejuvenated, however they are perfectly willing to do so, as the chance of dying in the ten years after they could enlist apparently runs in the very high likelihood. So at first the book is asking, would you jump for a lifeboat, if you didn’t know how it worked? After it is explained how it is done we get a short training montage, and then off to see the war in action. I have often heard this work been described as very similar to a Heinlein story been told in a modern way by a modern author. I can defiantly see a lot of elements that would remind me of that. The training montage is similar to a lot of things in Starship Troopers, also our hero is in the Heinlein mould. He is someone who gets things done, thinks about his actions but when the time comes knows which way to jump. I loved a lot of the technology within the book with things like the Skip Drive FTL technology been very interesting, though the explanation of how the it works gives me a headache. I suspect that in universe it is a concept that really is badly explained by the english language, and would be better if you could get the maths. I won’t try to explain it here, but it is a variant of an FTL transit system I don’t think I have encountered before. Another interesting idea is the BrainPal. A computer in your head, that can send and receive messages, and will learn to respond to your wants and needs before you can articulate them. I admit that i want one. The big problem I have with the book, is that there is no real reason to keep how the rejuvenation will be done a secret. At least none that is explained within the book. Also the disparate technology level between Earth and the CDF makes little sense, why keep a major source of what could be a production centre so behind the tech curve that they can’t help, even while you fight what seems like a total war! The book itself was Hugo nominated in 2006 and the Author won the John W. Campbell award for new writers. I have gotten the second book in the series, and look forward to reading it.